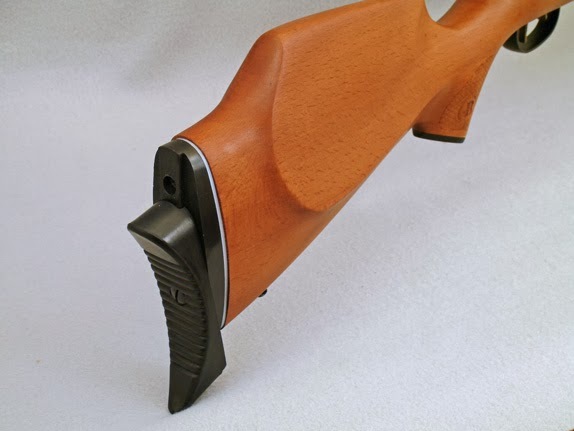 Archer on Airguns: New Low Cost Adjustable Buttplate for Benjamin Marauder Gives Improved Cheek Weld. New Low Cost Adjustable Buttplate for Benjamin Marauder Gives Improved Cheek Weld. For those of you wanting a low cost solution to improving cheek weld with the first generation Benjamin Marauder air rifles, this new Marauder adjustable buttplate may be of interest. This kit is a direct replacement for the factory rubber buttpad on the original Marauders (Models BP1763, BP2263 and BP2563). It just screws on. 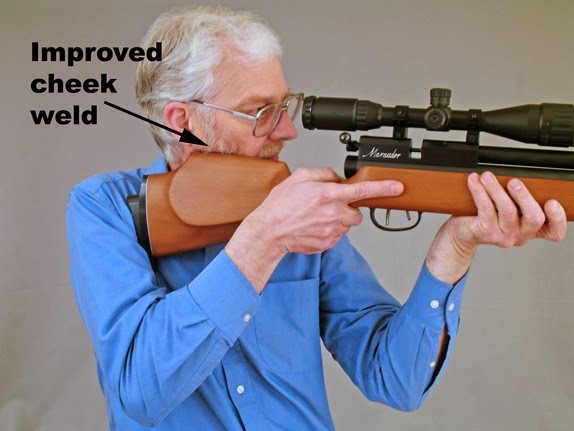 Our testing has found that it gives much improved cheek weld - and hence enhanced practical accuracy when shooting. 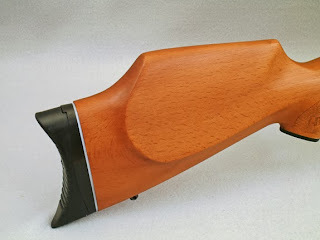 Please note that the original buttpad is attached to the stock before the wood is finish sanded. Obviously our adjustable buttplate for Marauder cannot benefit from such treatment and so there will inevitably be a small mis-match against the profile of the wood - as is the case with other aftermarket buttplates. But, the match is actually very good and it's most of our testers have found it very acceptable. The photos give a good idea of this. And the price? It's just $19.99. Definitely very acceptable!